After a brief bit of animated context setting to get everyone up to speed with the Arthurian legend and the evil sister Morgana who practices dark sorcery from her underground lair, action returns to modern day Britain and we meet The Kid Who Would Be King. Alex (played by Louis Ashbourne Serkis) finds the sword Excalibur while running away from some bullies (Rhianna Dorris and Tom Taylor), encounters a youthful-looking wizard Merlin (Angus Imrie) who is sustained by fried chicken, specialises in enchanted clapping and sometimes reverts back into a physically-older form that looks like Patrick Stewart. Backed to the hilt by his tropefully-stout mate Bedders (Dean Chaumoo) with his trusty triangular shield, they set off to defeat Morgana (Rebecca Ferguson) and save Britain from an eternity of slavery. 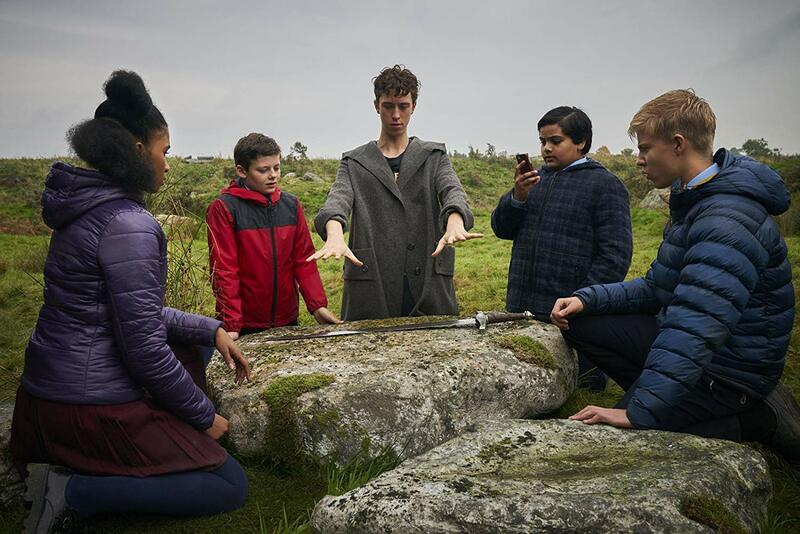 If Merlin’s explanatory dialogue and the pages from a book aren’t enough to follow what’s going on, people asleep at the back can take advantage of Bedder’s brief recaps which pepper the journey to Cornwall, Glastonbury and back home for the final battle. While the plot is steeped in Arthurian lore, the film could have borrowed a ‘There and Back Again’ subtitle from The Hobbit along with a fire-breathing dragon, a quest through Mirkwood, and Stewart’s impression of a wispy-haired Gandalf, and throws in some quirky self-awareness of Lord of the Rings and Harry Potter. The Kid Who Would Be King could be a genius parody about the current Brexit debacle with May (let down by a parental Cameron) and Javid teaming up with bully boys Gove and Johnson to have a giant tug of war match with the evil Tusk (or Barnier) and save Britain from eternal servitude under the tentacles of the evil European Union. But May and Javid don’t have as many good ideas as Alex and Bedders, and Gove and Johnson could never be trusted to stand by them on their quest. So that’s only wishful thinking that the film has another layer. The animation is good and the young acting is better than the script from writer/director Joe Cornish (of Adam & Joe fame). While the two long hours are full of creative ideas and situations, the pre-teen cinema audience and their parents deserve a better script that is not full of clichés, platitudes and truisms – “it’s a tough world out there and it’s getting tougher”, “how could telling the truth make everything worse?” – and unforgivable shouts of “I’ve got an idea!” and “I know!” to drive the plot forward. 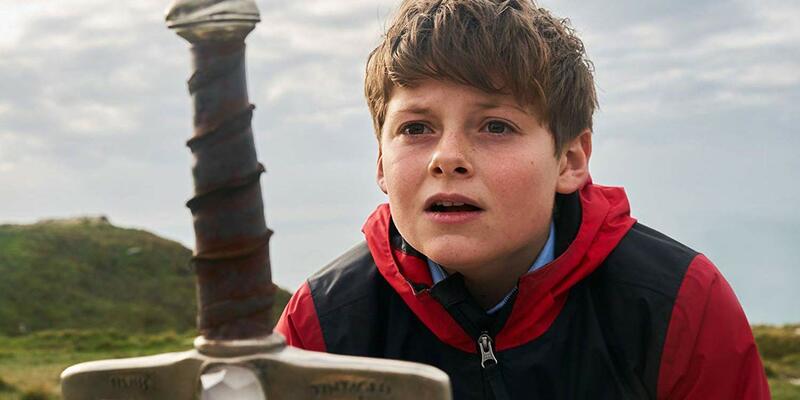 The Kid Who Would Be King’s journey of self-discovery is keen – overly so – to teach lessons about fallen heroes, the power of the underdog, and the need for leadership. But my inner pre-teen sensibility is now nearly as long ago as the Knights of the Round Table, so who am I to cast doubt on the entertainment value of a film that I don’t want to remember at the end of year review in December. Released in UK and Irish cinemas on Friday 15 February.